The president of the New York Federal Reserve said the devastation caused by Hurricanes Harvey and Irma could boost the U.S. economy in 2018 because of the rebuilding efforts that will have to take place. 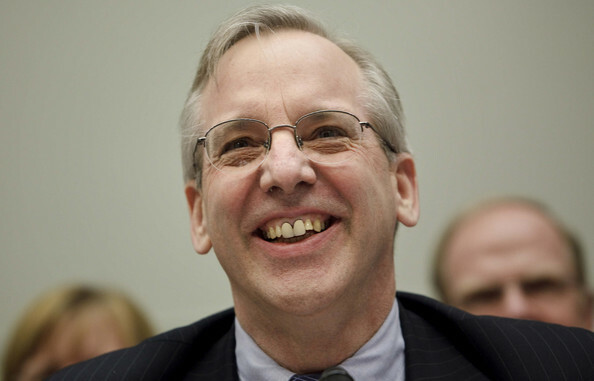 “The long-run effect of these disasters, unfortunately, is it actually lifts economic activity because you have to rebuild all the things that have been damaged by the storms,” William Dudley said in an interview with CNBC. What an idiot, rebuilding things that have been destroyed by hurricanes does not "lift economic activity." It causes activity to shift from creating new goods and services to rebuilding goods that have been damaged or destroyed. This is the fundamental lesson taught in Henry Hazlitt's important introductory economics book Economics In One Lesson. I am putting a copy in the mail to Keynesian crackpot. why doesn't someone volunteer to break all the windows in his house - by his logic wouldn't that increase his standard of living ? bravo! Mr jesse, the people blind and deaf to common sense reasoning cannot explain why they have not considered the obviously evident negative consequences of property destruction and I believe usually invent some strange supercause to ignore as secondary the obvious negative economic impact: but they have to react to this common sense impossibilities! Mr. Roddis, I believe have a lot of experience in dealing with these "deaf ears", since I recall him lamenting it is an impossible task try to make reasonings with this kind of "intellectual" people. OMFG! Aside from the broken window fallacy, it takes an extra special nut-job to think that destruction and mayhem grows the economy. So this guy can't afford a decent DENTIST?? Imagine all the jobs after a nuclear war. So by his logic, the destruction of the Warsaw Ghetto by the Nazis should be looked at as a positive event, correct? Oy vey!